The characters have all been pretty well-established at this point, and the majority are at least somewhat memorable. 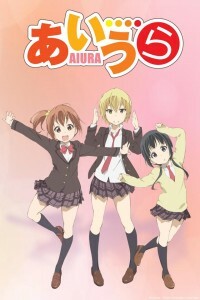 Since that’s been accomplished, watching “Aiura” has kind of been like visiting a familiar friend. However, I’ve seen better animes of this type, like Lucky Star for example. The characters’ daily lives are just pretty dull, and it makes the series very so-so. Besides, the characters have just now gotten well-developed and the series is almost over! The whole series has basically been strictly developmental, never really growing or progressing into anything past “okay.” It hasn’t been worth the wait-if I wasn’t assigned to keep following it, I would have given it up a few episodes ago.